Okay, so, you have an old desktop PC in your home and a portable laptop. You still keep the old desktop PC because you have important data stored there, and you still access those data every once in a while. Or maybe you have a desktop computer in your office, but would like to be able to access it remotely through your trusty laptop whenever and wherever needed. No worries. Thanks to the development of modern technologies, you can now access your static desktop computer from another device remotely. All you need is just a web browser software application on the remote device. Very convenient, isn’t it? 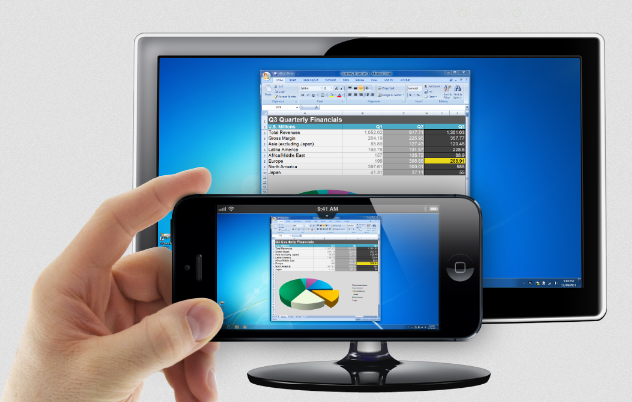 Right now, there are two remote desktop software services that are very popular; they are GoToMyPC and LogMeIn. Well, despite the names, both products and services are made by the same company. Both GoToMyPC and LogMeIn belong to LogMeIn Inc. They have similar capabilities, but there are also differences. Due to these differences, they are not exactly competing against each other. So, is it GoToMyPC or LogMeIn that suits your need and condition the best? Find out below. LogMeIn is available in three different versions. All of these versions allow sharing between individuals and teams. The first version is LogMeIn Pro, which provides access to two host computers, but you can invite as many numbers of users as you want to access those two host computers. The second version is LogMeIn Central, which has been designed more for IT professionals for sharing critical files and updates. The third version is LogMeIn Rescue, which allows the users to remotely access, look, and navigate on another person’s computer screen, as well as to share files and print remotely. On the other hand, GoToMyPC only has one product, but it has three subscription or pricing tiers, which are Personal, Pro, and Corporate. The difference between these three subscription plans is the numbers of users and computers that can be signed up. However, all of the three do provide the temporary access feature that enables you to invite other users to your computer temporarily. This feature is very handy and useful when you want to use your computer for bug fixes and product demos. Since GoToMyPC gives access to all of the monitors through the same window, there is no need for you to change your organizational system. LogMeIn has a design in which a secure link is created between two computers so that the user can still access their data safely and securely despite using an untrusted network. With LogMeIn, the host computer stays connected to LogMeIn’s server through a secured connection. The client then can request access to the data in the host computer through LogMeIn’s server. Such design allows both the users and the hosts to operate behind firewalls without having to run an additional IT service for configuring the firewalls. On the other hand, GoToMyPC requires the installation of a small server software application on the host computer. The small server communicates with a central GoToMyPC broker. The user can make a request to access the data on the host using a client computer through a browser or the desktop app. The user can then be able to access the desktop remotely and to share and sync files via any device using a browser or the desktop app. The primary advantage of both of these services is that they allow you to access all your files on the host computer from almost any device and almost any location. This is also useful if you want to transfer important or sensitive files without having to move it to a physical drive, which can go missing. All of LogMeIn’s three products give you control over all of the devices, but with different levels of abilities. For example, the Central version can monitor device status remotely and provide automation for routine update tasks – very handy and useful for the IT departments. On the other hand, GoToMyPC offers an interface that allows the user to drag and drop files from one desktop to the other. You can also use the program interface to sync devices. As long as the host computer remains on and connected to the Internet, any browser or desktop client can connect to it from any location at any time. LogMeIn has a secure gateway between the host computer and the client, but it further adds two layers of security, which are TLS and Intrusion Filters. The TLS a.k.a. Transport Layer Security performs two checks, record sequence numbering and message authentication codes, to ensure the integrity of your data. If mismatching keys are found, chances are your data have been tampered, and the transfer will fail. Meanwhile, the Intrusion Filters features three components: authentication, IP address, and denial of service. These components prevent unauthorized users from connecting through unknown IP addresses to perform a DoS attack or brute-force password cracking. GoToMyPC performs server monitoring to guard against DoS attacks and brute-force password cracking. Firewalls are also deployed between the servers and the clients. Of course, if you access your host computer through a web browser, it will leave a trace in the history and an optional cookie. However, neither the history nor the cookie contains identifying information that may endanger the security of the data. Still, if you are worried, you can use the web browser’s incognito mode to access the service. LogMeIn’s also offers free LastPass accounts to help you and your team manage passwords safely and securely. GoToMyPC does not have such accounts, but it offers a custom desktop shortcut to access your host computer with just a single click. However, the desktop shortcut should not be used on a device that is shared or not yours for security reasons. 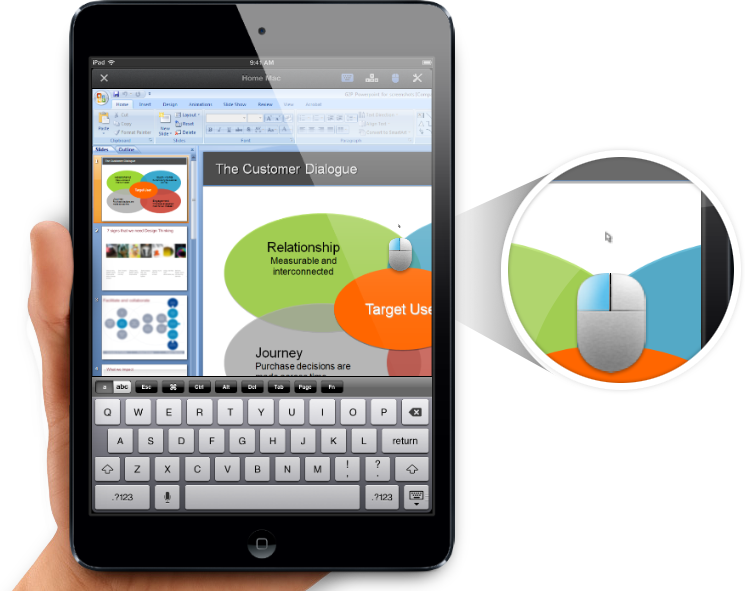 LogMeIn and GoToMyPC are both remote desktop software services with different characteristics. LogMeIn is great for those who benefit from the extensive features and in-depth security measures, such as the IT departments. However, GoToMyPC can be the choice for individuals and institutions that prefer a simpler approach.